Most people don’t realize it, but dental decay is the most prevalent disease for children under the age of five. In fact, more than 40% of children entering Kindergarten suffer from undiagnosed and untreated dental cavities, which can be painful and cause more serious infections later. Fortunately, you can protect your child’s teeth by learning more about age-appropriate dental care and taking them in for dental checkups at Hine’s Little Smiles. As you work with your child to develop better dental hygiene skills, focus on technique. Here are some tips for proper brushing and flossing that you should remember and try to teach your kids. Teach your kids to hold their brush against their teeth at a 45° angle, and to use gentle, circular brushing motions. Also, teach kids to start at their gum line and to brush downwards so that they don’t damage their delicate gum tissue. Talk to your kids about making sure to brush the entire surface of the tooth, front and back. If possible, have your kids start with the back surfaces of teeth, where plaque typically starts to accumulate. Set a timer so that your child can track the amount of time they spend brushing, and teach them to aim for two-minute brushing sessions. As you teach your children to floss, show them how to hold the floss tightly and to work it through their teeth gently. Show them how to apply gentle pressure to ease the floss down around the gum line. To get your child used to the way flossing feels, floss their teeth for them the first few times, and then have them practice on some of their front teeth. Teach your child to run floss between every two teeth that touch. Kids can be forgetful, which is why it is important to help your child to remember to brush and floss like they should. 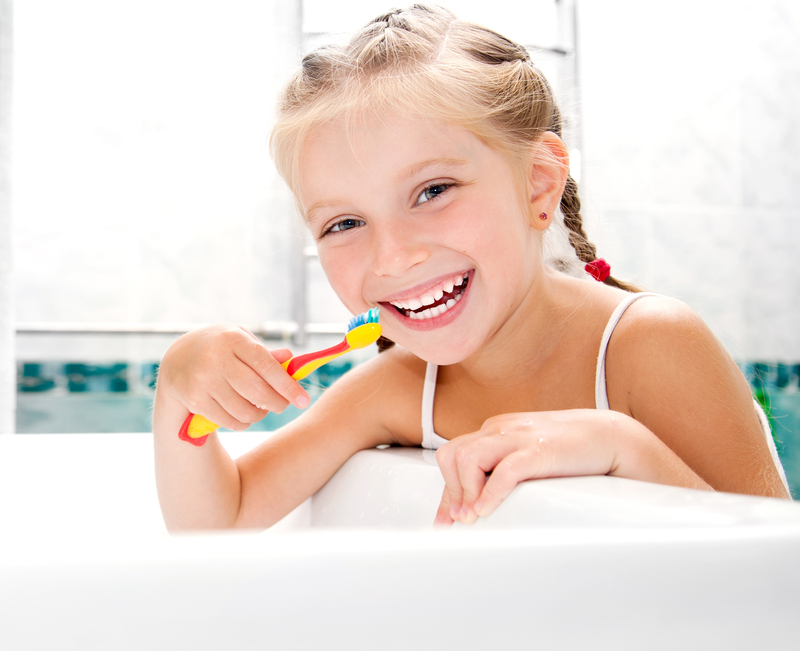 Establish a normal nighttime routine, and encourage kids to brush and floss before bed. To keep kids motivated, let them choose their own brushing and flossing supplies. You might be surprised with how excited your child gets about brushing when their toothbrush has a picture of their favorite princess or superhero. One of the best ways to ensure that your kids are following through is to schedule regular dental checkups. Dr. Hines, Dr. Vollmar, and Dr. Anderson can tell whether or not your child has been caring for their teeth, and they can help to encourage your child to focus on their dental health daily. Schedule your child’s next checkup today!